You never know what objection a prospect could throw at you, so you need to be prepared to answer just about anything. Not surprisingly, these are the same types of skills that hiring managers look for when hiring sales and business development representatives. If you can’t sell yourself in an interview, how is a manager supposed to trust you to pitch their product to potential customers? To help you prepare, we compiled 15 common interview questions that are asked by hiring managers when looking to fill a sales or business development position. Whether this is your first job out of school, or you have a few years of experience under your belt, the types of interview questions you’ll be asked are pretty standard when it comes to any sales role. Keep in mind that your delivery is just as important as your answer. Confidence is key. 1. What can you tell me about our company? While this question might not be sales-specific, it’s likely one of the first things an interviewer will ask a candidate. Before hopping on a sales call, a good rep will always take 5-10 minutes to do prior research on the prospective buyer and their company. The same applies for a candidate that is serious about getting hired. You should always do research on the company you’re interviewing with and find ways to connect with their brand. 2. How do you go about achieving your goals? This question has two sides to it: professional and personal. 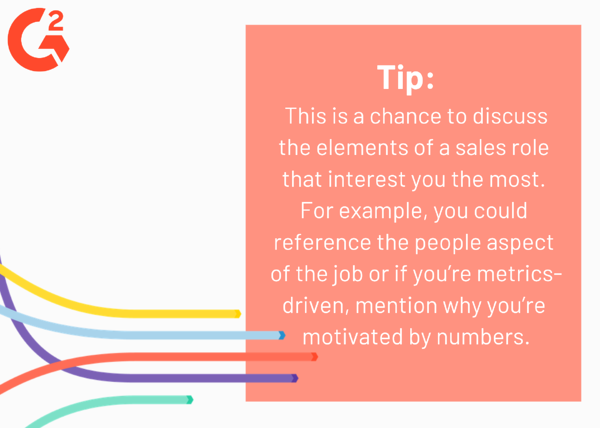 Since sales is all about meeting and exceeding aggressive goals, the interviewer will want to see that you’re goal-oriented and not put off by metrics. Be sure to provide specific examples of times that you have met goals in your life, this could be personal or professional. If you’re right out of school, you can also relate your answer to any academic experience you’ve had with goal-setting. 3. How do you handle a difficult prospect? In sales, you’ll come across a not-so-pleasant prospect every now and then. Hiring managers want to see that you’re able to keep your cool and remain professional even when a prospect is being difficult. It’s important to show that you’re level-headed, but also firm in your approach in making sure the buyer isn’t giving you the runaround. 4. Why are you interested in sales? This question gives the candidate an opportunity to get personal and really explain why a job in sales will give you career fulfillment. 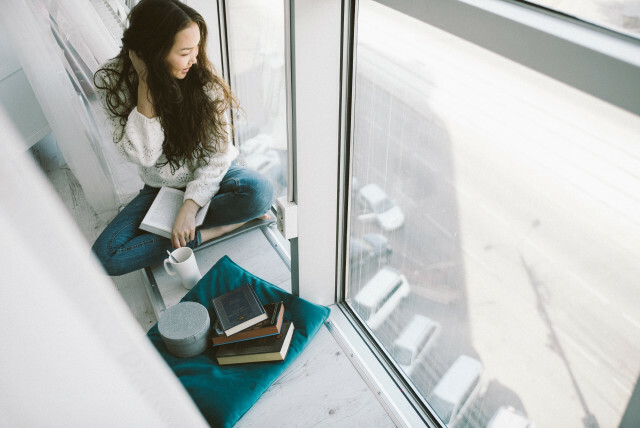 Reflect on your past experience to decide why you see sales as a good fit for you, and what you picture for yourself long-term following this type of career path. 5. What do you do if a prospect goes dark? Even the most successful sales people have experienced a prospect “going dark” – when you’ve previously engaged with someone and then they disappear without a trace. Understandably, it can be difficult to stay motivated when prospects are rejecting you. That being said, overcoming this kind of adversity is something you’ll be doing daily in a sales role, and hiring managers want to see that you’re able to keep moving forward after facing rejection. This question is open-ended and not as specific to sales as some of the others. Everyone is motivated by something, and this is your chance to share what gets you up and out of bed in the morning. This can be as simple as say, making money, or could be something more specific like working towards future aspirations. 7. How do you handle objections? Objection handling is a skill that all sales people need to possess in order to be successful. During the sales process, a prospective buyer will often have concerns and it’s your job to alleviate them. Describe to the interviewer a time in the past where you’ve had to tackle difficult objections, and how you overcame them. It’s important to have these examples prepared and be specific when sharing the details, it shows you came prepared and have something to back up your answers with. When applying for positions, it’s important to keep your long-term career goals in mind. Hiring managers want to know that you’re not just going to quit after a year of working and be on to the next. They want to see that you have aspirations to stay with the company. While five years may seem far out, this is an opportunity to explain to the interviewer what your desired career path looks like in the long-term. Tip: Don’t forget to ask questions. Interviews often feel one-sided, but remember that it’s also your chance to evaluate if the company is going to be the right fit for you. The best way to find that out is by asking questions. 9. Tell me about a time where you didn’t meet your goals. This question may seem tough to answer, but it’s a great chance to address a weakness and explain how you’ve grown professionally after tackling a difficult situation. Nobody is perfect, and it’s better to take responsibility for failure as long as you can show that you’ve learned from it. 10. Are you comfortable with cold calling? Be honest. If you don’t mind cold calling, the easy way to answer this is by saying “yes.” You should go a step further to strengthen your answer by explaining why. This could be as simple as saying what aspects of cold calling you enjoy, or share a time when you had a cold call that led to a successful sale. If cold calling is not your strong suit, don’t lie to the interviewer. Instead, offer an explanation as to why you haven’t found it to be a successful outbound sales outreach method for you and describe what approach has been more effective for you. If this position will be your first time cold calling, it’s OK to admit that it seems daunting. However, you should indicate that you’re coachable and willing to take a stab at it. 11. What industry trends interest you the most? Interviewers ask industry-related questions to see if you’ve done your research. Prior to the interview, you should not only research the company but also the industry. Identify industry trends that are interesting to you, and come up with questions for the things you want to learn more about. If you have little experience in the industry, this is a great opportunity to show why you’re interested. 12. What type of management style do you prefer? Based on your past experience, describe what type of management style will make you the most successful. It’s best to be honest, but acknowledge that you are flexible and able to adapt to different styles, too. 13. What CRM software do you have experience with? Nowadays, most sales team rely on Customer Relationship Management (CRM) software to keep track of all their contacts, deals, etc. While experience using a CRM may not be required for the position, you should have a general understanding of what the software does and why it’s important. If you haven’t used a tool like this before, show your willingness to learn. Here are some of the most commonly used and highest-rated CRMs. 14. What skills does a good salesperson possess? The key to nailing this question is to relate every skill that you list back to yourself. For example, you could say that a good salesperson needs strong communication and time management skills. From there, provide an example of times where you used those skills to accomplish a difficult task. 15. How do you stay organized and prioritize your time? Time management and organization are key to success in sales and business development. Everyone has different methods for staying organized, so be sure to share yours and explain why it works for you. A strong candidate will be able to detail how they organize their day-to-day tasks and stay on track even if they become overwhelmed. When interviewing for a sales role, remember that your confidence and delivery matter just as much as how you answer the interview questions. Use this guide to practice beforehand, and you’ll feel much more confident going into the big day. With practice and preparation, you’ll be a shoe-in.